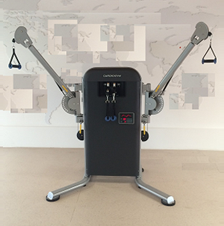 CARDIOGYM has a range of innovative and unique machines that have been scientifically proven to offer significantly better results over traditional equipment and make training easier. 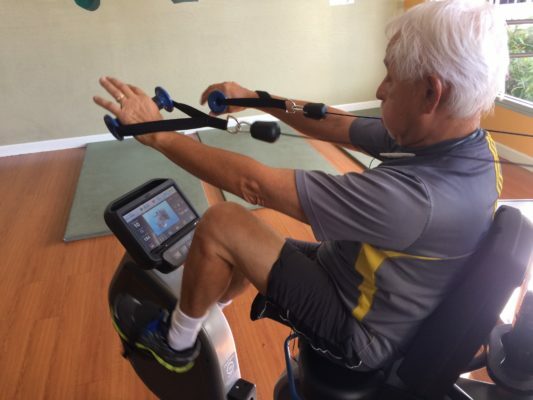 Developed with all levels of intensity in mind regardless of age or ability level, the CARDIOGYM machines are used globally from seniors rehabilitation to elite fitness training for total body cardio and resistance workouts. 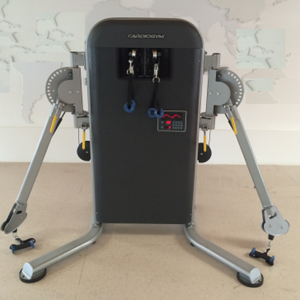 CARDIOGYM CG6 is revolutionary, simultaneously combining upper and lower body, with cardio and resistance training, giving a genuine total body workout! A virtual trainer guides users through a variety of exercises, making it easy to follow, working the mind as well as the body. The variation on offer helps overcome boring repetition in your cardio workout. 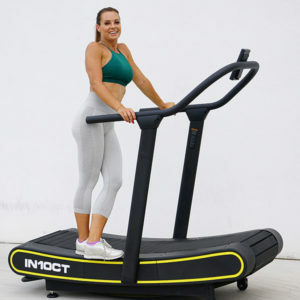 In a 30 day trial people who used CARDIOGYM lost 6 TIMES more body fat than those on the treadmill and elliptical as well as other significant results such as improving flexibility and strength. The results speak for themselves!! Booty Builder is the Ultimate Hip Thrust machine! 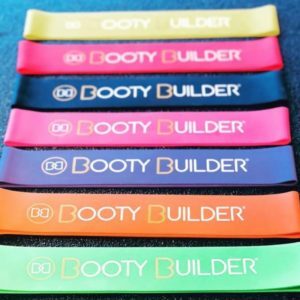 You are doing an optimal range of motion and movement for targeting the gluteus maximus when exercising on the Booty Builder. 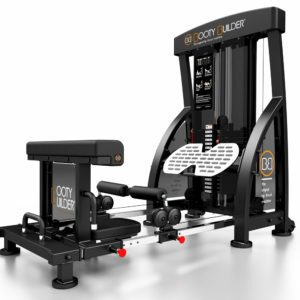 The machine is based on the Hip-Thrust, shown in research to provide extreme glute activation, as well as great activation of the hamstrings and core muscles. The problem with the Hip-Thrust is the hassle of setting up with free weights and benches,losing balance and/or flipping over the bench or barbell. Why do half the job? 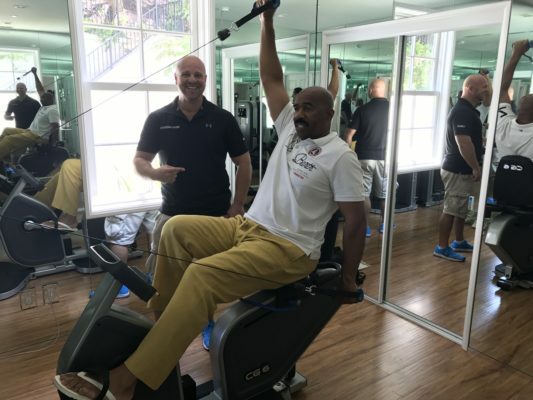 People are realizing there are greater advantages to be had when including their upper body when pedalling on a stationary bike. Forget what you thought you knew about exercise, see how the CG6 redefines the way we train. CARDIOGYM CG3 simultaneously combines cardio and resistance training with a virtual trainer guiding you through a variety of exercises to give the best total body cardio machine workout available.The CG3 folds into its own stylish cupboard for easy storage and is on wheels for transporting. With the bike folded up you also have a functional trainer that allows you to do hundreds of different strength exercises. Our revolutionary Motorized Weight Selection System allows users to conveniently select the weight with a push of a button, still maintaining the smoothness only real weights can offer. 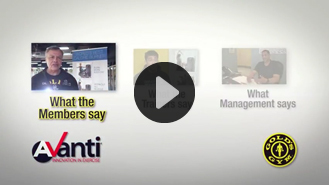 See what the members, trainers and management at Gold’s Gym are saying about the CG6. The CardioGym has been a welcome addition to our gym; the members love it and are seeing great results in using it. Members have said they renewed their membership just because of the addition of the CG6 to our gym. 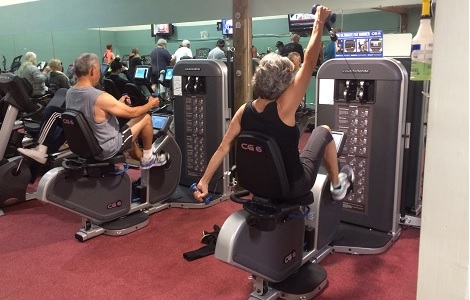 The CG6 is the first machine we show when selling gym memberships as the clients all love it. 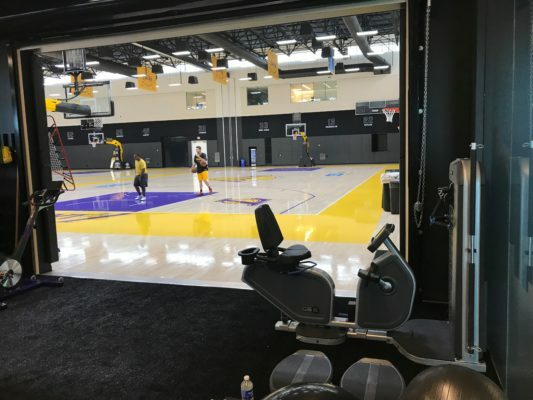 Our members absolutely love the Cardio Gyms and understand their value.  The CGs are user friendly, effective, top quality, and give our club an extra edge! Vanessa Carlson / Owner/Operator Ladies Super Fitness, North Canton OH. 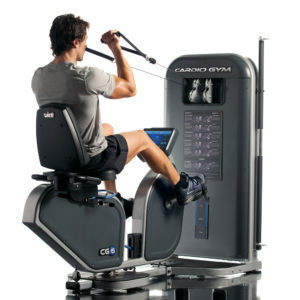 Hello guys, thanks for installing the five Cardiogyms, this is really a great product. I am sure that in the next two years all German gyms will have minimum one Cardiogym. But at the moment I am happy that I was the first one and I hope that the other gyms sleep a little bit longer in my area, so I am the one and only which have the Cardiogym. The CG6 is the best machine in my GYM. There is not enough space at the moment for more than two, but these two are in use the whole day. I used to rate the Octane elliptical as the best cardio machine available but now I say CG6 is the best by far. Jeff Bair / Multiple Club owner USA and Mexico. A lot of members are excited they can do their cardio and resistance training together, if they’re happy then I am happy. I have had so many residents and employees rave about CG6, I will be highly recommending for all other communities. Robin LaFrankie / Erickson Living Fitness Co-ordinator. After comparing initial testing results pre and post for both groups, the CardioGym Training Group (CG6) significantly improved fitness over the Aerobic Training Group (Ellipticals and Treadmills) in almost all categories for the same time spent in exercise. 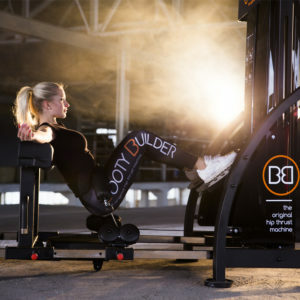 In this study, the CardioGym produced results that were not only aerobically superior, but also much better in terms of weight loss, body composition and strength improvement. We replaced our Quinton q4500 treadmill system with the Cardiogym in our cardiopulmonary stress lab. The CardioGym combined with the Cosmed CPET/C12x gives us a digital state of the art stress ECG system with a metabolic cart on one PC, which allows calculation of Vo2 max, exercise spirometry and anaerobic threshold and the ability to avoid chemical agents using either bicycle and or upper body resistance aerobic exercise. Patients without disabilities get to their peak heart rates faster and without the fear or safety issues of a treadmill. Patients receive their nuclear doses for while seated on the bike and we have had no problems with intravenous catheters during upper body exercise. In my opinion, the CardioGym and Cosmed cardiopulmonary stress system is the 21st century cardiology stress system. The workout is so efficient that in 30 minutes a person can do a full body workout, both cardiovascular and strength conditioning, it answers the question I only have 30 minutes to workout so what can I do to get the best results?I absolutely recommend it for any club, period! The CG6 helps sell memberships. 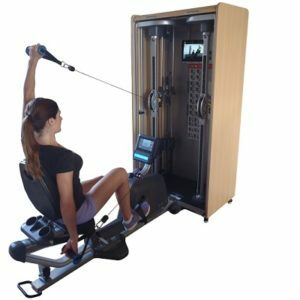 By integrating this spectacular machine into the sales presentation, many prospective members are wowed and can see that Powerhouse Gym has become a symbol of professionalism in getting our members fit. Next up we are going to do group classes with six CG6 units! Muscularly it’s great, cardio is great and it beats any piece of cardio equipment because your whole body is moving at the same time, this is a whole body workout, I love it! It beats anything else in the gym, best piece of equipment I have ever seen. I find this kind of machine has my name on it, you are doing the bicycle and arm movement at the same time and I love it! CG6 is a big hit…….everyone that uses it loves it…..will have to get another one.